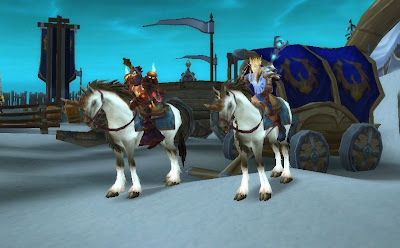 Got my Quel'dorei Steed last night. And yesterday I was wondering what would get me to 100 mounts. Well, I forgot about all this gold I've been hoarding. I can easily go buy a Grand Ice Mammoth, but I'd really like to save a bit more for the Traveler's Tundra Mammoth. But with Brewfest fast approaching, I won't have enough gold to buy the Mammoth and get 100 mounts on Sunday with the Violet Proto-Drake. I think I might hit up Vetarra or Aenador and see if I can dip into their cash reserves in exchange for a modest 10% return on their money. I only need 3,000g or so. And I could probably pay that back at about 1,000g a week (plus interest). Either way, I just want to hit 100 mounts and get it over and done with. And then when the 100 pets achievement drops with 3.2.2 or 3.3, I'll already be there ready for that achievement. Two days ago I needed 23 seals for a new mount and since you get just 10 per day from the dailies, that meant 3 from the "bonus bags" would allow me to buy a mount. First day went well - I got my 10 seals from dailies and 2! of the four bags had seals in them. Unfortunately, yesterday, I got my 10 seals, but the bags held nothing for me. So the mount has been postponed until tonight. #97 incoming. I think I'm going to go with the Quel'dorei Steed. Then I can get back to work on the faction mounts. Then this Sunday, Brewfest returns! The Violet Proto-Drake will be mine! #98. I just have no idea what I'm going to get for #99. My egg hatches soon and maybe I'll get a Green Proto, or maybe I'll get lucky and figure out a way to get my Red Proto, but barring those two options, it'll just be another 10 days of dailies to get an Argent Tourney mount. Either way, as you can probably tell from all my mount posts lately, I really want to get to 100! A couple things to quickly update. 1. The 10 Man Gold Team cleared Normal Trial in an hour last week. We then attempted the Northrend Beasts on heroic again. This time though, we killed them. We tried Jaraxxus a few times, but just didn't have the time or patience to kill him. 2. The 25 Man Gold Team took down the Faction Champions for the first time last week. I hear it was a one-shot. I was out of town. They then quickly took down the Twins, but didn't have time to get through Anub. 3. Just one week until Brewfest!! With it, a new mount. I'm currently at 96 mounts. 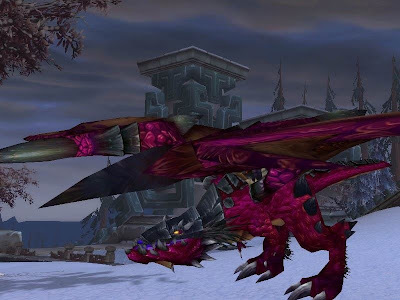 I am still hoping to get my Red Proto Drake soon (97) then my Violet Proto Drake with Brewfest (98) and finally an Argent Tourney mount will be 99 in a couple days. Then, my special, super-secret mount will be revealed as #100. 4. We went into Naxx last night to get Undying. And, we did. It was not that hard and it took us just over 2 hours to clear all the way through. Not too shabby. Tiddlywinks the Undying sounds good. 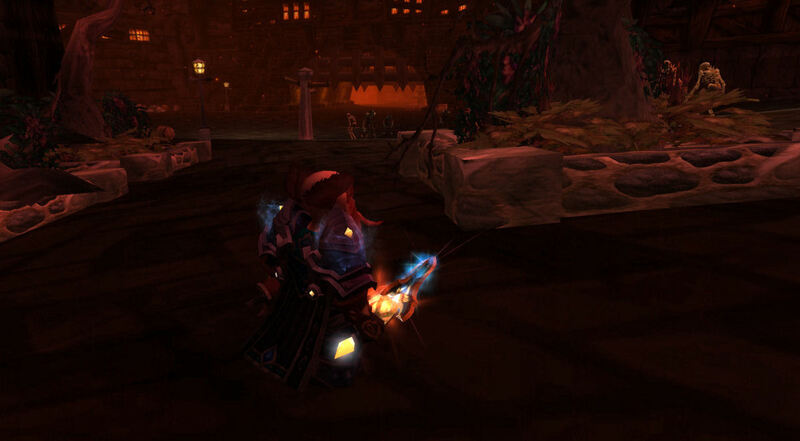 I do die quite infrequently (when not in raids - where my cloth armor does little to protect me).